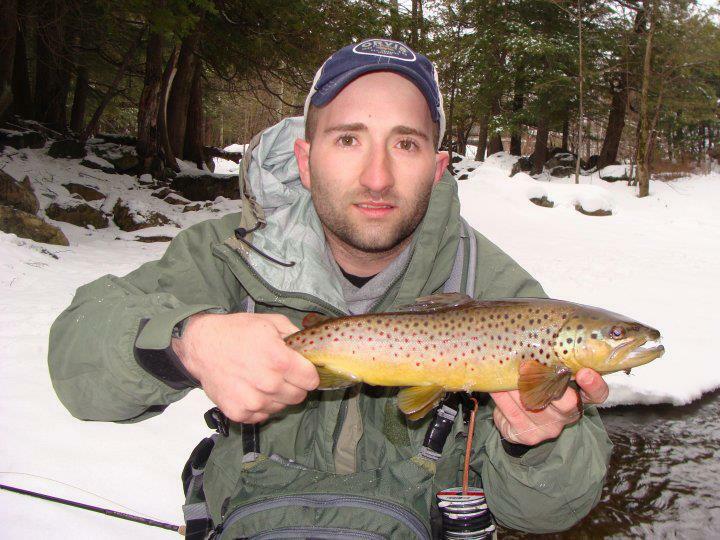 Early season trout fishing can be tough at best, I’m not just talking about spring fishing, I’m talking about fishing before the spring, in the swing season between winter and spring when water temps are still well below 50 degrees. In places like where I live In the north country if you aren’t fishing heavily stocked waters it can be like pulling your teeth out. 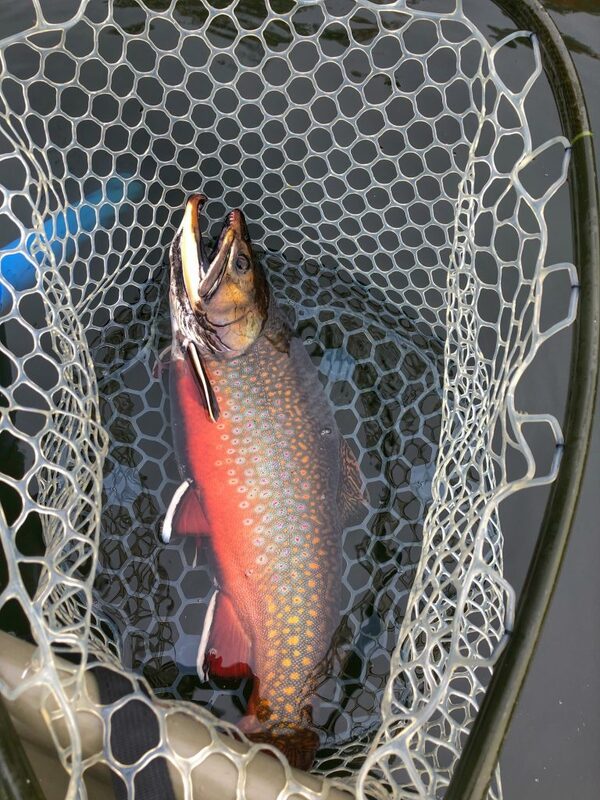 Trout in these conditions and places are pretty lethargic this time of year and the fishing can be very very slow. Its a mental game, its very hard to keep your head in the game this time of year when you aren’t putting up numbers. You have to stay focused and concentrate on what you are doing. There is a big difference between going fishing and fishing well. But just because the fishing isn’t that great yet doesn’t mean you cant go out and catch a few. here is a short list of tips or facts to help you improve the odds in the pre-season. The best time to fish is when you can go fishing right? But try to optimize that time if possible. keeping in mind that sub 50 the fish are not very active, you want to be out in the warmest part of the day, notice I didn’t say brightest. I talk to a lot of guys who say trout are not as spooky in the early season and I will agree with this to some extent. But that doesn’t mean that they are stupid either (see my other post about why trout are stupid). 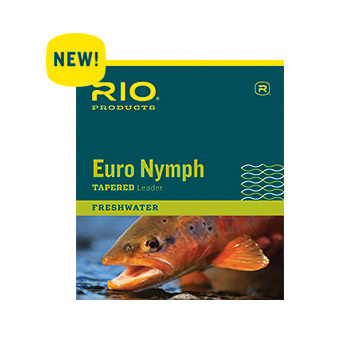 I like to fish lighter tippet in the early season which goes along with smaller flies that are often fished this time of year. “Think small fish small” is a good motto in the early spring. 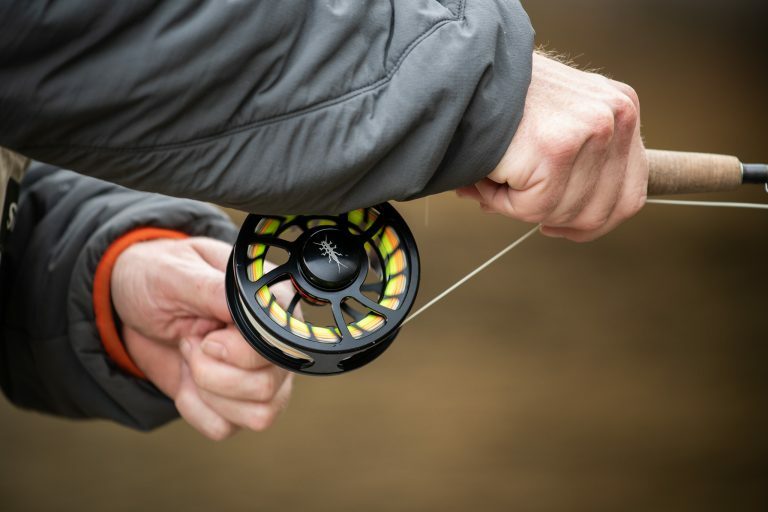 Fish aren’t going to move very far to grab a fly until the water warms up a little bit so make sure you are focusing on getting your fly exactly to where you think the fish may be and use smaller flies. I don’t have a good answer why but they just don’t seem to hit big flies as well. Like I mentioned above, the fish aren’t going to move much so make sure you are fishing slowly and methodically. I abandon my usual Euro methods this time of year and switch to an indicator rig almost exclusively because it forces me to slow down my presentation a bit. This also allows me to fish deeper water more effectively and get across bigger deep pools. If you just had to endure a tough winter, particularly in water that freezes, where would you be? For us up here that means deep water. I don’t find the fish to be moving out of their winter holding areas until the water starts getting over 45 closer to 50. 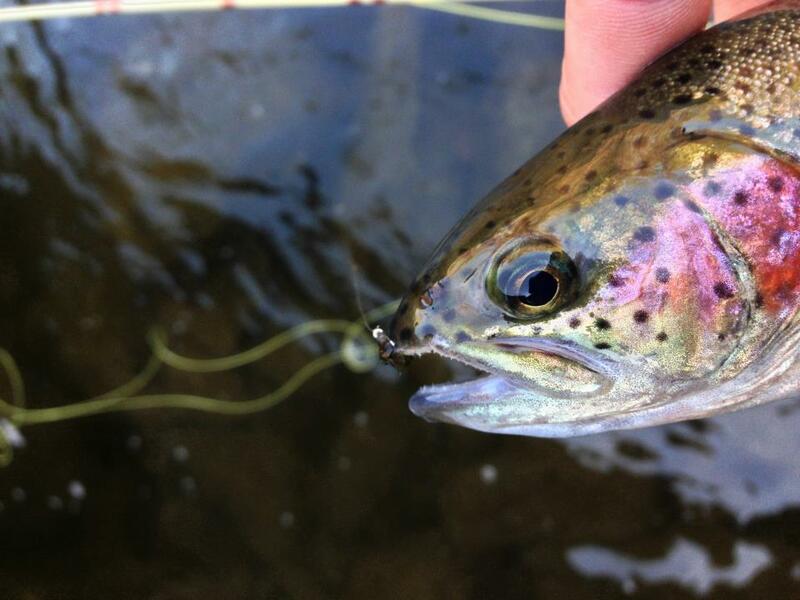 I fish deep water, preferably in areas that have some movement throughout the winter. This doesn’t just mean if the hole is deep you’re all the way there. Where in that hole would you be? You would still need access to food even if you’re eating less right? Its cold out, and being cold and uncomfortable isn’t going to make the situation any better. You can always take clothes off so layer up. The more comfortable you are the easier it is to stay in the game. Steelhead guys know what I am talking about. Good and warm gloves and socks are key. These seem like easy and obvious tips, and they are. With that said its easy to not think enough when we are excited about fishing or when we are fishing water that we think we know well. But more so than all of the things we talked about, you cant catch fish if you don’t go fishing. Put in your time, you your head and even in the toughest conditions you will find your way.